Martin Havlat has decided to retire after 14 seasons. The 35-year-old forward was a first-round selection (26th overall) of the Ottawa Senators in 1999. He played in 790 career regular season games for the Senators, Chicago Blackhawks, Minnesota Wild, San Jose Sharks, New Jersey Devils and St. Louis Blues. He scored 242 goals and 594 points in the regular season as well as 21 goals and 52 points in 75 postseason matches. 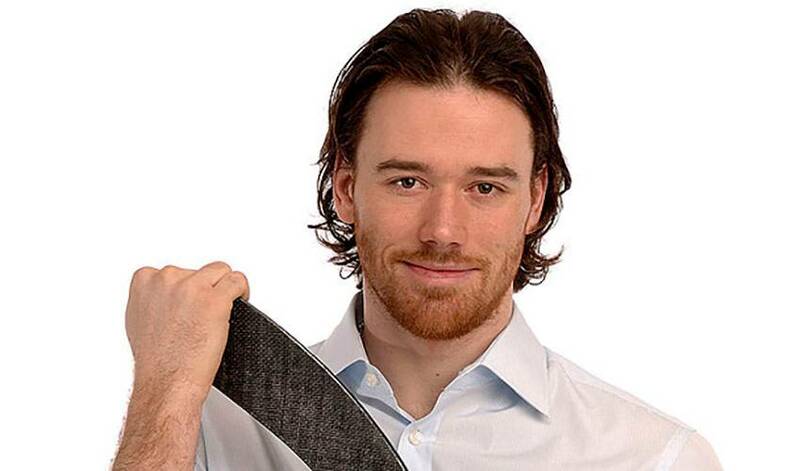 Havlat always had a knack for clutch goals, scoring 44 regular season game-winners and seven more in the playoffs, including three overtime playoff winners. He played his final game in the NHL for the Blues on Nov. 12, 2015 against the New York Rangers at Madison Square Garden, two days after he scored his final winner in New Jersey. It has been more than 14 months since I played my last game in the NHL. I stopped playing after two games with the St. Louis Blues, because I decided by the way my legs felt, I just couldn’t play the way I wanted to or how I was expected to. There was sharp pain on both sides of my groin from overuse and too many tears. So I went home to figure out the next step. A few doctors checked me out, and there was hope to try to play again. I started rehab in April for the groin problems and by the end of the month, I started training, slowly building up. I was feeling better, seeing positive results. I trained this past summer like I was going to play again and had a few invitations for training camp. I was skating with my hometown Czech team, Kometa Brno, in August to test out how I felt. It was nice to be around the boys, with the jokes and the pranks, and skating in the old arena in Brno where I grew up playing. It gave me the confidence to go to Montreal, where I have gone for the last 10 to 12 years to get ready for the NHL season. I needed to know if I could do it one more time. I arrived there in early September, and pushed myself hard. I felt I was better than earlier in the year, but still wasn’t good enough for me to compete at the level I expect for myself. That’s why I decided not to follow through and try to play in the NHL anymore, once and for all. By the time training camp came around, I still wasn’t 100 percent or to the point I needed to be to feel comfortable to give it a try. I felt so many emotions at the time. It was more frustration than anger, but in the end, I would have been angrier if I didn’t at least try to come back one more time. I’m not angry now, just happy I did everything I could. I was going to retire, but then the Kometa Brno hockey club called to see if I was interested in a comeback with them. The owner asked me to help them out and get ready for the playoffs. So I went back to Kometa. I trained with them in December, but a week before I was going to play my first game in January, those same physical issues returned. I was trying to push it too hard and I tweaked my groin again. When that happened, I knew I could finally accept it: I had to leave the game. It would have been nice to play at home and finish my career playing in that same arena where I started as a kid. It would have been nice to play in front of my 86-year-old father, Slava, since he was my coach as a teenager. Like most of our parents, he’s a very important person in my life. He was 50 when I was born, still a young man, but a little older than usual. Everything I had was due to my Mom and Dad. My father was my coach. The most important thing was he was hard on me, much harder on me than on anybody else on the team. He didn’t want to give me a free pass. Sometimes it wasn’t easy, but in the end, I knew it was very good for me. He always wanted and expected the best out of me. Nobody back then expected me to play in the NHL. My father always taught me that when you reach one level, you strive to get to the next level, to take things step-by-step. Looking back at my career, I think back to 1999 when I was drafted by the Senators in Boston. It was a special day, but it was just the beginning. I remember thinking just because I was drafted doesn’t mean I’m going to play in the NHL. It was only the first step. I went home and played in the Czech Extraliga for Ocelari Trinec, won a gold medal at the IIHF World under-20, and gold again four months later at the World Championship as a 19-year-old with the Czech national team. It was quite a five months. I never won another championship after that. It seems so long ago. But those championships gave me a lot of confidence when I arrived in Ottawa for training camp. I was fortunate to have had a few Czech and Slovak players around me in Ottawa, like Marian Hossa, Radek Bonk and Vinny Prospal to make me feel comfortable. The Czech players helped me with the language, to feel comfortable, and to find good restaurants to eat at both home and on the road. But one of the best things they did for me after a few months was to take me out for dinner and tell me that I needed to work on the English language on my own. Sometimes when you have too many countrymen around you, you get lazy. They motivated me to work on it – and I did. It wasn’t only them who helped – Daniel Alfredsson always made me feel at home too – especially away from the rink. I played my first game in Boston, where I was drafted. I remember standing at the bench for the two national anthems, the Canadian and United States anthems, thinking that in a few minutes, I’m going to take my first shift in the NHL. I was so excited. I had goose bumps. I played that first game on a line with Vinny and Magnus Arvedson. Vinny was traded about halfway through that season to Florida, but he was such a skillful centre – a great passer, and the reason why I had a good start, a good first season. I finished third in the Calder Trophy voting to the winner, Evgeni Nabokov, and behind Brad Richards. I wasn’t disappointed at all. I was happy the way that first year went, but not happy about a first-round exit in the playoffs. Then, to go to Toronto for the awards ceremony and to be among all the current NHL stars and former stars was something else. We never had to worry about missing the playoffs in Ottawa. We had a good team and I will always remember that run to the conference final in 2003 against New Jersey. Everybody waits for the playoffs, and I don’t know why I had so much success there. All you ever want to do is be at your best and help your team win. I didn’t approach the playoffs any differently. Maybe I didn’t appreciate it back then. I just loved it. I wish I could have been in the playoffs every year. In the regular season, you’re focused on helping your team accumulate points. In the playoffs, individual games matter so much. You have to focus on the little things, like getting the puck out. Everything is bigger, more important. The city – whether it’s Ottawa, Chicago or San Jose – changed in the playoffs. The fans’ attention was at a different level. You’re thinking about the game every minute. I left Ottawa for Chicago after five seasons. Both Ottawa and Chicago will always be special places in my heart. They are great cities and good organizations, and I met a lot of great people there. It was hard to leave Chicago after three years and then playing in another conference final in 2009. Really, it was hard to leave both Ottawa and Chicago. But that’s hockey. I was lucky to have Allan Walsh as my agent as a player, and in my life as a friend. He helped me throughout my whole career, especially in the tough times. It wasn’t just me. He stands up for all his players. I will never forget that. It wasn’t just business. Still, we’re players and it’s better for the agent to fight your battles so you can focus on the game. In Ottawa, Chicago and Minnesota, in particular, I was fortunate to have four men who believed in me in a lot: Marshall Johnston, Dale Tallon, Joel Quenneville and Chuck Fletcher. They made a difference in my life forever. Like I said, I dealt with a lot of injuries at the end and it was frustrating. Hockey was my life, but the last few years, I just couldn’t play the way I wanted to play. My heart wanted to keep on going, but my body didn’t allow me to do it. I felt it was time. I know I’ve made the right decision. I had already undergone a shoulder surgery, a serious pelvic injury and other injuries, but my whole career I dealt with groin problems. I was able to manage the groin problems well enough that nobody would notice. But in the end, the damage was done. Some players never get hurt, but not me. I’m not complaining. I feel very fortunate to have had the career I’ve had. I’m not sure at this point what I want to do now that I’ve retired. I’m going to take a step back. I’m living in Boca Raton, Florida. I have two beautiful daughters; my youngest is two years old and the oldest will be five in July. Without them, it wouldn’t be the same. My parents gave so much to me and, now that I’m a father of two little girls, it’s no longer just about me. My life has changed for the better. I hope they won’t play hockey too soon because right now I don’t want to be around a cold rink. I have some friends, other retired NHLers like Tomas Vokoun, Petr Sykora, Radek Dvorak and Olli Jokinen, who live nearby and are coaching their kids on youth teams in Florida. Maybe down the road I’ll want to coach, but not right now. I know when you retire people ask you about your favourite moment or memory, but for me, it’s tough to pick one. There are so many things I’m grateful for. It was a great run. Sure I had my ups and downs, but I loved the game and enjoyed too many positive things to pick one. Hockey is a team sport and you can’t do everything on your own. You need to work with your teammates – your friends – to be successful. You learn you’re never alone. Sometimes you think you’re alone but there is always someone to pick you up. I know I will miss that, but it’s time to start a new chapter. Full media release on Martin Havlat's retirement.